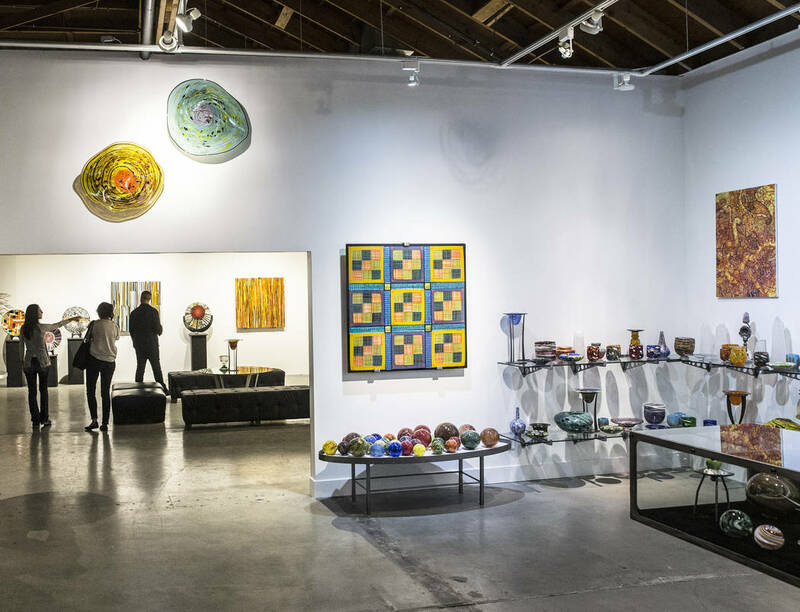 Domsky Glass Studio offers a unique event space and art experience like none other. High-beamed ceilings and walls host an atmosphere of fine art, calling for conversation and muse, while a rustic working studio reveals the excitement and high energy of live glass blowing. A versatile space allows you to create the event you desire. Perfect for corporate and nonprofit events, you’ll love the unforgettable experience and flexibility this venue provides. Plan your event for up to 200 guests in our incredible space, or let us help you create an unforgettable experience. We offer an array of a-la-carte event options. Hot glass demonstration, team building and individual glass making workshops, performers & ambience, catering services, and stunning studio-made awards & gifts are just some of our services. You are also welcome to bring in your own licensed caterer and/or bartender, so your event can be custom designed by you. Domsky Studio can also help guide you based on the successful events we’ve hosted.